Fakhr al-Dīn Ibrahīm ‘Irāqī (Persian: فخرالدین ابراهیم عراقی‎‎; 10 June 1213 – 1289), Persian Sufi master, poet and writer. Often referred to as ‘Araqi, he was born in the village of Kamjan near the city of Hamadan in Persia in 1213. During his lifetime he spent many years in Multan, (present day Pakistan) as well as Konya and Tokat in present-day Turkey. He is known by many Sufis as a commenter on Sufi teachings, one of the great Persian poets, and an artist. 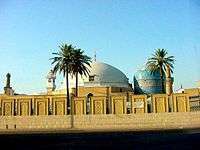 ‘Iraqi is also considered to have reached an exalted station of spiritual realization within the Sufi tradition. Lama’at or Divine Flashes is the best known of ‘Iraqi's writings and was written during his time in what is now present day Turkey. A part of the ‘language of love’ genre within Sufi writing, it takes an interesting view on how one view the world. Unlike others before him ‘Iraqi viewed the world as a mirror which reflected God's Names and Qualities and not as a "veil" which must be lifted. According to (the late) Baljit Singh Ph.D an Indian Persian scholar and translator of SWANEH of Ahmad Ghazali and Iraqi's LAMMAT (The Flashes), "The style of Lammat is a simple, dignified, fluent & rich with Qur'anic verses and Arabic sentences. Its theme is ‘Divine Love’ and is written in the fashion of the Swaneh of Ahmad Ghazali. Iraqi explains in the Lammat, Ibn Arabi's Sufism through the love symbology." He quotes from Saed Nafisi's ‘Introduction’ to the ‘Kullyat Iraqi’-‘Generally it is accepted that Iraqi wrote Lammat following the ideas of Ibn Arabi, but Iraqi himself says differently. He writes in the beginning of the Lammat that he has written this book in the manner of ‘Swaneh’ of Ahmad Ghazali.’ Baljit Singh further refers to Dr Nasrullah Pourjavadi, a scholar on Ahmad Ghazali and writes, "It was Ahmad Ghazali who first of all saw the Divine as love and founded the Sufi Metaphysics of Love. Iraqi is said to have united Ahmad Ghazali to Ibn Arabi through his LAMMAT." ↑ Chittick, William C. and Peter Lamborn Wilson. Fakhruddin 'Iraqi: Divine Flashes. New York: Paulist Press, 1982. Pg 34. ↑ Zargar, Cyrus (2011). Sufi Aesthetics: Beauty, Love, and the Human Form in the Writings of Ibn 'Arabi and 'Iraqi. Columbia, SC: University of South Carolina Press. p. 111. ISBN 978-1-57003-999-7. ↑ Baljit Singh Ph.D: LAMMAT (The Flashes) by FAKHRUDDIN IRAQI, English Rendering, First Edition : June 2003, Publishers: Sikh Foundation, New Delhi. ISBN 81-7873-007-3, Pg 5-6. ↑ Zargar, Cyrus (2011). Sufi Aesthetics: Beauty, Love, and the Human Form in the Writings of Ibn 'Arabi and 'Iraqi. Columbia SC: University of South Carolina Press. pp. 96 and 194. ↑ Baldick, R. Julian (1973). "The Authenticity of 'Iraqi's 'Ushshaq-nama". Studia Iranica. 2 (1): 67–78.